Human behavioral epigenetics (HBE) is a fascinating area of research that holds promise to change our view of nature-nurture interconnection. In particular, the study of changes in DNA methylation applied to human development is revealing pathways through which early adversities are embedded in the developing biology of children, contributing to long-lasting programming of health and disease.1 Notwithstanding, HBE holds the risk of a new reductionism grounded in nurture instead of nature. 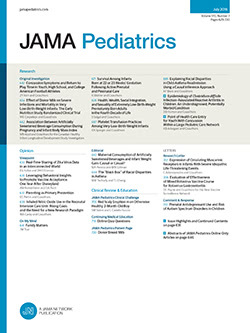 Researchers and clinicians have been recently warned about the lure of epigenetics and the risk of translating animal results and interpreting human findings in a strict deterministic way.2 Critically, misleading conclusions would convey the idea of a direct impact of maternal behavior and physiology on the long-term well-being of infants and children, without taking into account the importance of the broader socioeconomic and health care environment. Herein, we reflect on HBE, referring to prematurity as an example to highlight potential benefits for research and clinical practice as well as ethical issues conveying a complex view of neonatal health care.